Provide comfort for the family of Benny Blundell with a meaningful gesture of sympathy. Benny Blundell finished his race Sunday, March 3 at the age of 74 and is now in eternal glory with His Savior and King, Jesus Christ. Benny was born April 3, 1944 in Winnsboro, Texas. His love for people and sense of humor was evident throughout his lifetime and school days in Winnsboro school district. He led the Red Raiders to many victories as a fullback and kicker; so much in fact, at the age of 23, Benny signed a contract with the New Orleans Saints. The article in the Dallas Morning News fittingly was entitled, “Blundell… Exception To The Rule.” Benny and his best friend, Roger Tinney, were often rodeoing and calf roping and cutting up with James Henson pulling pranks on the opposition. Whatever Benny found himself doing- he was a trail blazer, practical joker and life of the party. His lock and load attitude was often defender of the mistreated. Since 1967, Benny has been heading to the mountains to hunt with his dearest friends and sons. They have had their special campsite for 38 years. 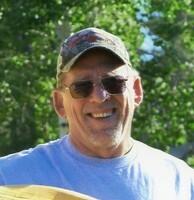 He was forever an outdoorsman - loving the mountains, wildlife and listening to the wind blowing through the aspen trees. He shared many adventures with precious friends David Scott best known as Scotty, Johnny Johnson, Gerald Reed, Archie Carroll, his cousin Mike Foster- whom he often touted was the smartest person he knew. Whether it’s hunting, fishing, horses, golf or gardening, Benny enjoyed life to its fullest. His deepest love was for people. He never met a stranger and if you were his friend or a family member - there was nothing he would not do to come to your aid, make you laugh, pull pranks, and if he called you “Brub” that meant you were a sister or brother forever. He could build, fix or make anything. In fact, there wasn’t much he couldn’t do. He had the strength of a Samson and as his friend and Sunday school teacher and district attorney can testify- it seemed like he had the strength of the incredible hulk at times. His best times were with his family and dear friends, with his boys up in the mountains and he couldn’t help often calling on the phone all whom he loved (and in many cases early in the morning :). He was blessed in this life with making friendships for a lifetime and he felt himself rich and was often moved to tears at reflecting on God’s blessings in his life. He was an entrepreneur of 3 successful companies building 29 custom homes, 600 metal buildings, and manufacturing over 1,000 steel buildings. He started a BBQ business in Colorado and even remodeled and moved an old home from Main Street and turned it into a steak house in Winnsboro. His tireless attention to detail was his trademark. He had “Brubs” that worked with him for years destined to be his friends, putting up with his antics, and loving him for it. Benny loved the Lord and daily interceded for his loved ones and was often moved to tears reflecting on God’s blessings in his life. Benny is greeted in heaven by his parents, Marvin and Evelyn Blundell of Winnsboro Texas. His siblings Marvin Blundell, Linda Schwen, and Joann Hunt. He is dearly missed by the family God has given him; his wife of 46 years and love of his life Sandy Blundell, his daughter Tonjua and husband David Shepherd, and his sons Heath Blundell, his wife Kristin, and Michael Blundell, his wife Amanda. His beloved grandchildren Brittany Swann, Beth and husband Tim Michiemo, Brooke Swann, Madyson Blundell, Samantha and husband Nate Barnes, Elijah and Easton Blundell and one great grandchild Eden Michiemo; and numerous loved nieces, nephews, and cousins. A Celebration of Life Memorial Service will be held on Thursday, March 7th, 2019 at Winnsboro Civic Center 825 Wheeler Dr. Winnsboro, Texas 75494 at 11:00 am, Rev. Larry Green conducting. A Visitation and Reception will follow the services for 12-2 pm at the Civic Center. To send flowers in memory of Benny Richard Blundell, please visit our Heartfelt Sympathies Store. We encourage you to share your most beloved memories of Benny here, so that the family and other loved ones can always see it. You can upload cherished photographs, or share your favorite stories, and can even comment on those shared by others. 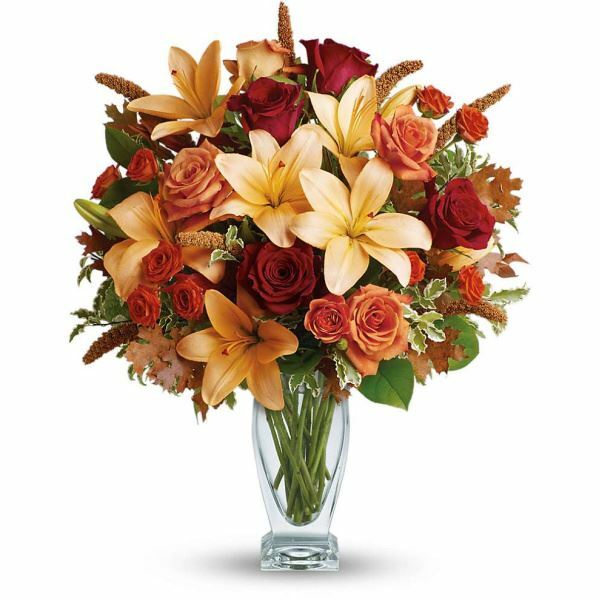 Blessings, Susie Taylor, Rob and Raquel Carpenter, and others have sent flowers to the family of Benny Richard Blundell. Sandy so sorry for your loss. I remember fishing in yalls pond on Clearwater highway when I was a kid. Benny was always nice and cordial to me and I liked him a lot for that. So sorry for your loss. His passing is considered a loss to us as well. Proud to have been in the "Brub club". Clay, Debbie, and Elissa Irvin, Hannah and Benjamin Jaeger. I remember when Benny ran the race track at Pickton. That was the only reason my parents, Buford and Dorothy Messer, would let me work in the concession stand. They knew he would keep an eye on me. Peace & comfort prayed for you. Benny was a unique individual for whom there is no substitute. May God grant you Peace. Blessings, Susie Taylor purchased flowers for the family of Benny Blundell.